I'm back at you with the green men's crewneck! This time I wanted to go for a feminine tough-girl kind of vibe. 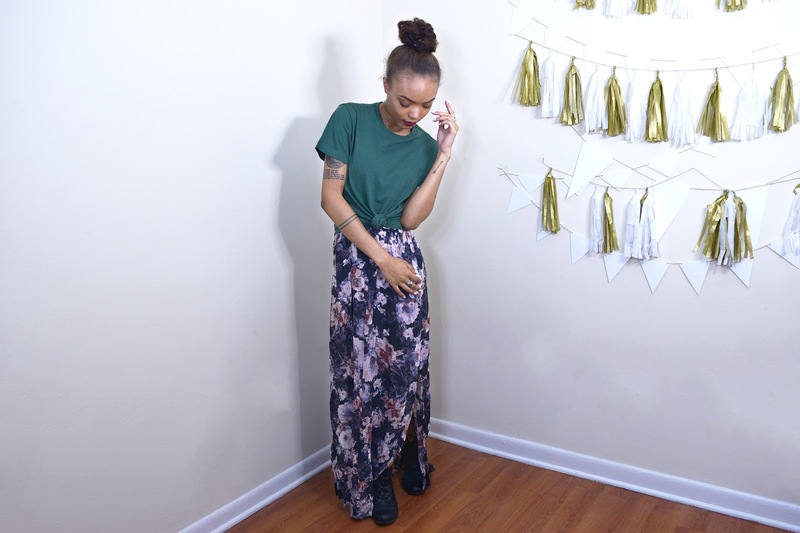 Although it is fall now, it's not time to say goodbye to your favorite maxi dresses just yet. I put this crewneck over top of my favorite summer dress, adding a bit of a sleeve and changing the whole look of the dress. The dress has a gorgeous muted floral pattern, and the green crewneck makes the colors pop just a bit more. 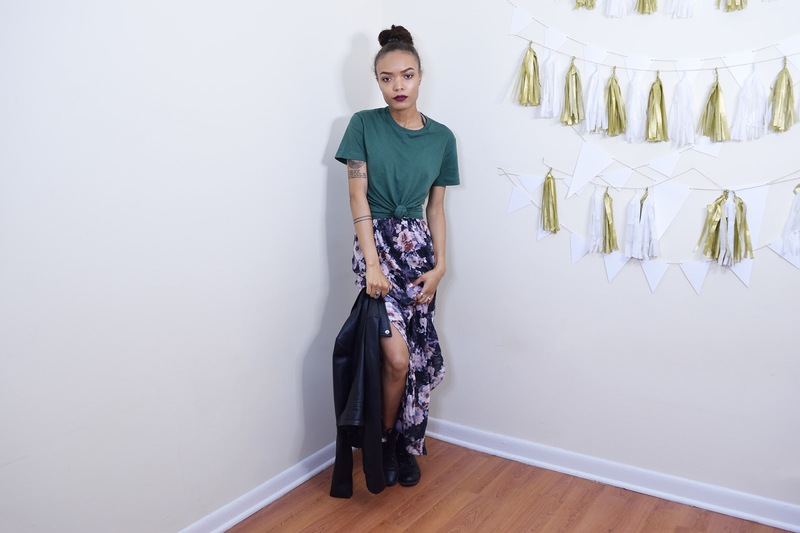 I "toughened up" this look by pairing it with short combat boots and my black leather jacket. Have any ideas on how you would add a feminine touch to this crewneck? Let me know!